Gaming in smartphones has been a huge rage this year as they’re making their mark at a higher speed. Android games are touching heights as they get better with passing time. Presented here are 10 amazing Android games of 2017, downloaded from Google Play Store! 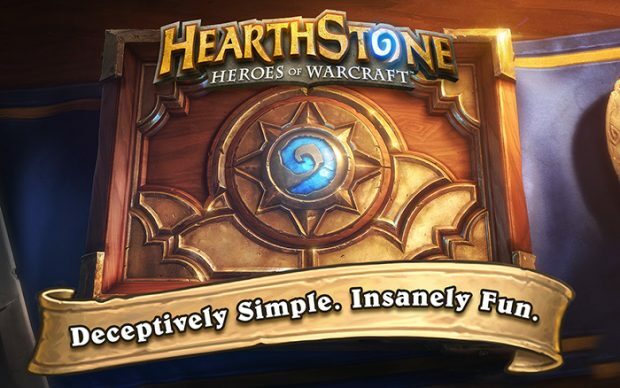 1# Hearthstone Heroes of Warcraft: It is one of the best games in 2017 where its concept revolves around collecting cards, building decks and fighting the other players utilizing those decks. The game has few online and offline components, and often approaches with new expansions. Price: free with in-app purchases. 2# Crashlands: Crashlands being the best Android game characterizes an intergalactic trucker which turns out to be crash-landed upon an alien planet. It’s a fun game having an RPG element for character growth, and many items you can gather and create, and save the world from a wicked plot. Price: $4.99. 3# Minecraft: People belonging to all ages would love to play Minecraft. In this game, you are placed in a massive world where you can mine stuff, grow stuff, beat the bad guys, and try some pretty good stuff too. Minecraft has a survival mode where one can mine their resources and food, and also a creative mode which provides them unlimited things. Price: $6.99 with in-app purchases. 4# Pokemon Go: Pokemon Go is a very popular reality game that is ruling this year too. With Pokemon Go, one can walk around in real life, catch the Pokemon, battle out for Gyms, and even hit the Pokestops to refill on the items. It has frequent updates to new mechanics, new Pokemon in limited time events. Price: free with in-app purchases. 5# The Room series: The latest game is a series based on escape puzzle games where the player has to solve the puzzles placed in each room filled with mysterious objects and get out of it. He/she will evolve from one room to the other in exploring more ideal objects and solve those puzzles till they win that game. Price: no in-app purchases. 6# Riptide GP series: They are the best racers accessible in Android gaming. Its features include great graphics, easy controls, fun kind of tricks, and a boost system to aid you to achieve an edge to the game. The series is a pay-once game where the contender has to play as a racer, losing credentials, and then fight back to grab the top position. Price: $2.99. 7# This War Of Mine: In this award-winning survival game, you will lead the civilian crew in a city that is torn apart by the war and survive through as you make tough decisions to get heart-wrenched results. You can get best gaming coupons & deals at Couponobox.com for the games like This War Of Mine. Price: $14.99. 8# Rollercoaster Tycoon: Known to be one of the few simulation games, you have to build amusement parks by designing each park nicely, then set up the shops, and then work out the ways to get many numbers of people, make them happy and also spend their money. The base game approaches with Rollercoaster Tycoon 2, along with extra DLC packs. Price: $5.99. 9# Unkilled: If you love zombie games, then Unkilled is the perfect zombie shooter for your enjoyment. Its features include better graphics, several weapons, 300+ missions to engage in boss fights, online PvP modes, and things to unlock and upgrade. Price: free with in-app purchases. 10# Titan Quest: It is a masterpiece game poured with puzzles and adventure elements. The player has to craft a character, set out to quests, play throughout the story, and win the game. Titan Quest is a 60-hour game, with 30 character classes, 1200 items to gather, and 80 bad guy species. Price: $8.99. Hence, before the year ends, shop for your favorite Android games at lesser discounts and enjoy playing and gaining points!